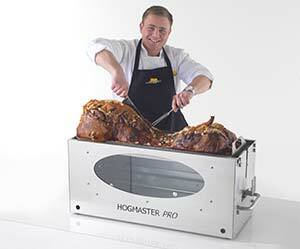 Here at Hog Roast Machine Hire Sunderland we provide high quality machines for your own personal use. 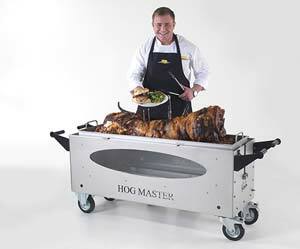 One popular use of our hog roast machine hire Newcastle is for personal parties. One of the most difficult things to organise at a party is the catering. We want to make it as simple as possible for you to provide excellent and hassle free food for all your guests. The county of Northumberland is very well known for its university and it attracts students from around the country. When graduation time comes everyone is looking to organise the perfect celebration party. It is one of the busiest times of the year for caterers and party planners. Whether you are planning a small get together for you and a few friends or a huge house party for you and your class hiring a hog roast machine is the perfect way to cater for your guests. There is no party too big or too small; our hog roast machine hire Consett is perfect for all occasions. One thing that you might be thinking is how can I set up my own machine and cook a full roast? There’s no need to worry, it is a lot easier than you may think, and you don’t need a degree to operate our Hexham hog roast machine hire. We want to make the catering at your party as simple and as hassle free as possible so all our machines come with full instructions and our contact details just in case you get stuck. We are here to help if anything goes wrong. Cooking on our machines is very simple just make sure the meat of your choice is securely attached to the hog roast machine and let it cook for six hours. You also have the choice of how you want to cook your meat. You can use the machine as an oven and slow cook it, similar to a conventional oven or you can really impress your guests by using the spit roast. This is the perfect way to create a centre piece at your party and it is the best way to create a warm and friendly feeling. You can really wow your guests with your cooking skills and make a real show of the food when carving it straight off the spit roast to the plate. The meat, whether cooked in the machine or spit roasted, is guaranteed to be delicious and succulent leaving all your guests wanting more and praising the head chef, you. We all know that students struggle for money but at prices from just £195 for a week’s hire there is no cheaper alternative on the market, you’ll even have some money spare for a few drinks. We even deliver and collect your machine anywhere in the country which is included in the price. We want to make your party special because you deserve to celebrate your graduation in style, and what better way to do that than with one of our high quality hog roast machines.